Sandbanks campsite is located in Faversham, Kent and it is just 2,5 miles from town centre. It is one of the biggest sites in our company. On the site we have 48 caravans, 6 of them are plumbed in and have water, shower and toilet facilities. There are also shared facilities on site such as gents and ladies showers, kitchen, laundry room and gents and ladies toilets. On the site we can accommodate approximately 180 people. Once a week (on Wednesday) we organise a shopping trip to the town centre for our employees. For entertainment we offer football and volleyball areas. Every year we are organising trips to the Thorpe Park. Also staff members have an opportunity to join and support our football team during summer tournaments. Lady Dane campsite is located in Faversham near the town centre .On the site we have 43 caravans and we can accommodate approximately 160 people. There are shared gents and ladies showers, kitchen, laundry room and gents and ladies toilets. Faversham is one of England’s most charming and historic market towns, Faversham is located in the heart of rural Kent with excellent links to London (48 miles) and beyond. It is home to great festivals, walks, attractions, music. Faversham markets are held every Tuesday, Friday and Saturday. The Best of Faversham market is on the first and third Saturday of each month with Antiques and Vintage on the first Sunday. There is a shopping area full of independent eateries and shops. In their free time staff members can travel to near cities such as Canterbury (just 9 miles), Ashford (13 miles), Maidstone (18 miles). 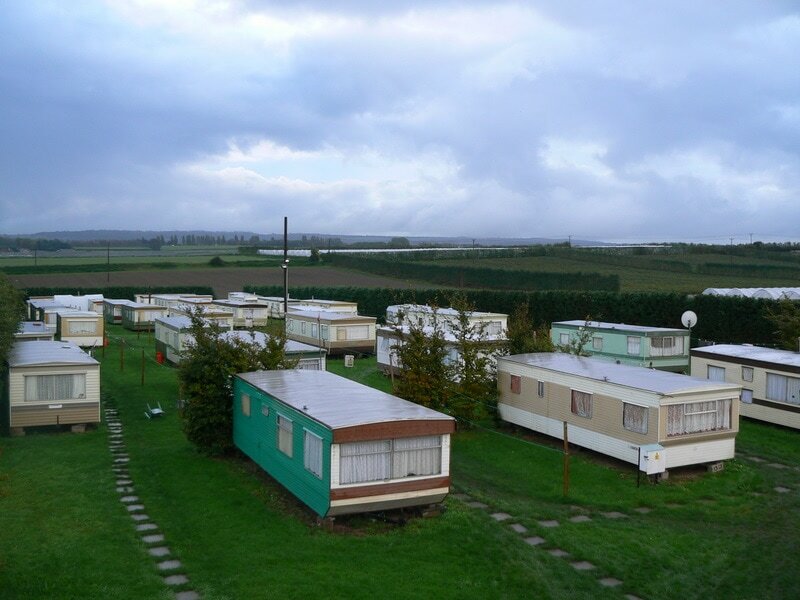 Wilford Court Farm campsite is located in Tonge, 3.5 miles from Sittingbourne town centre. There are 21 static caravans for approximately 80 people. ​There are also shared facilities on site such as gents and ladies showers, kitchen, laundry room and gents and ladies toilets.